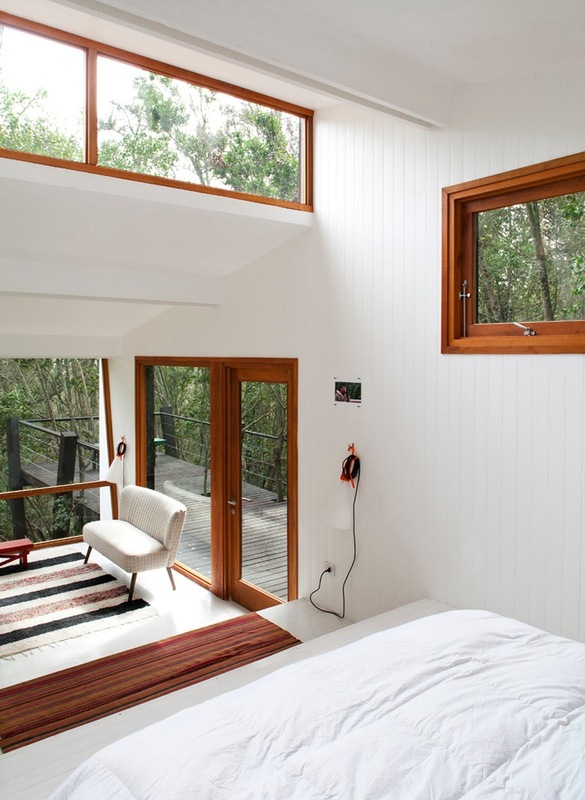 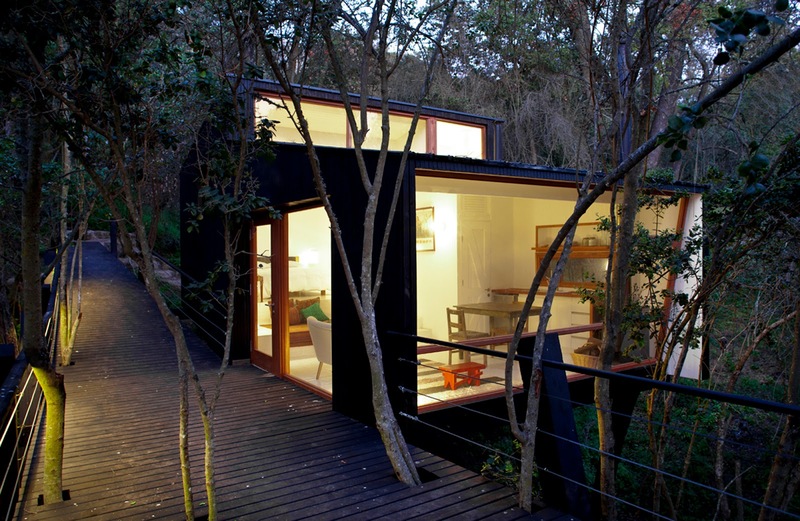 In the town of Curacaví, Chile, is this stunning modern retreat. 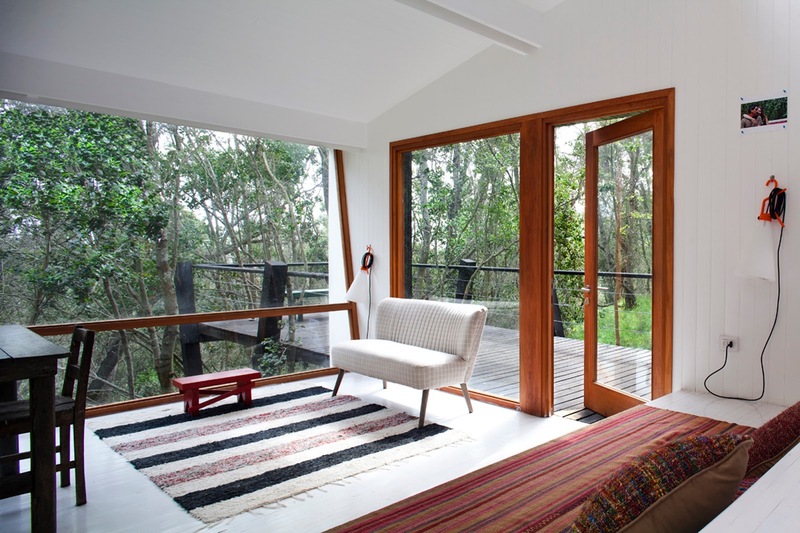 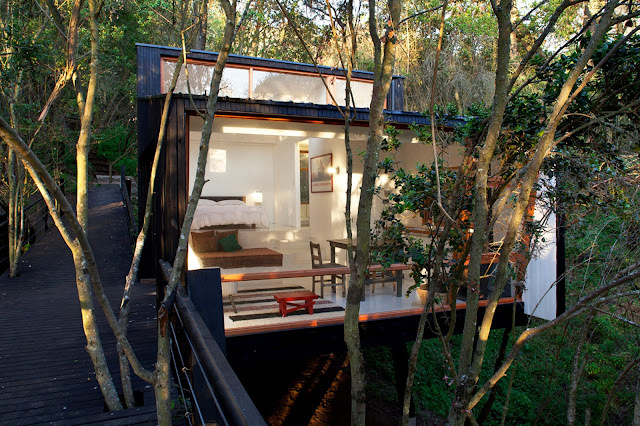 Situated in the woods, by a creek, the home provides a quiet place to getaway. Designed by architect Alejandro Urrutia and Juan Pablo Nazar of UNarquitectura, the design perfectly combines a modern space into a natural environment. 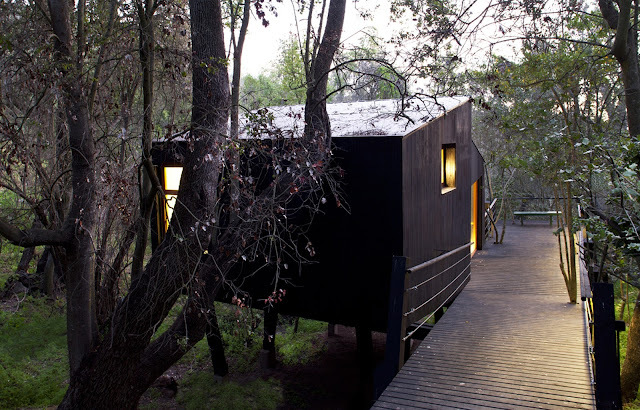 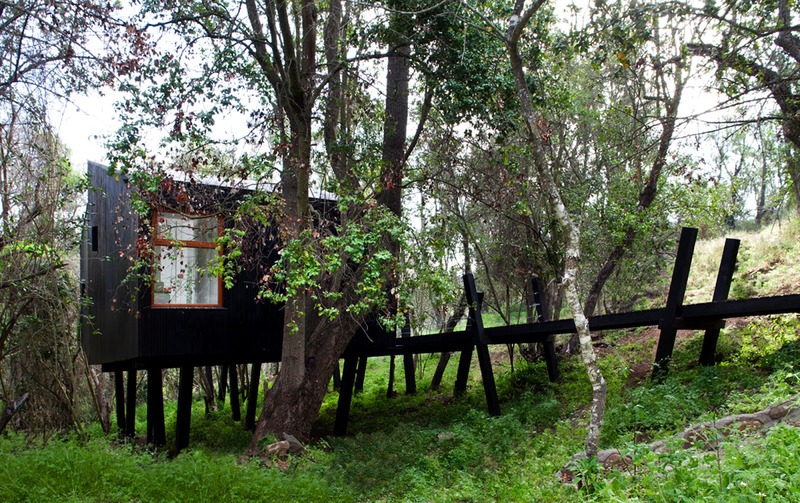 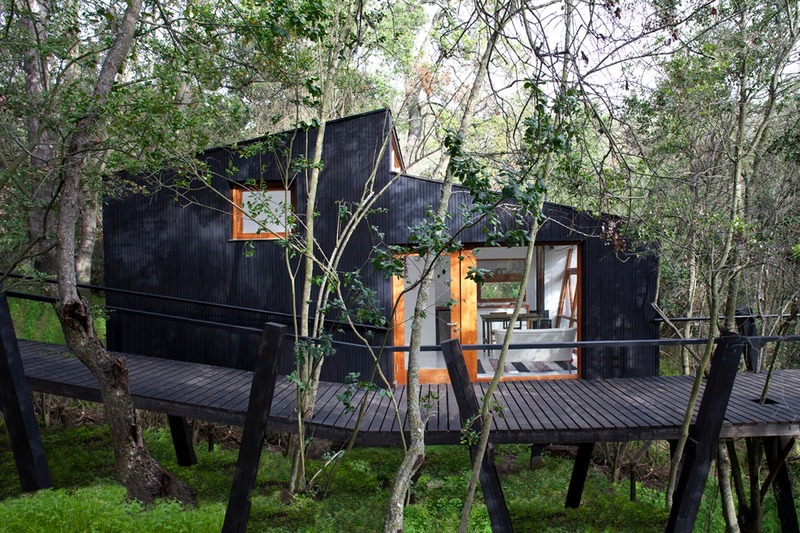 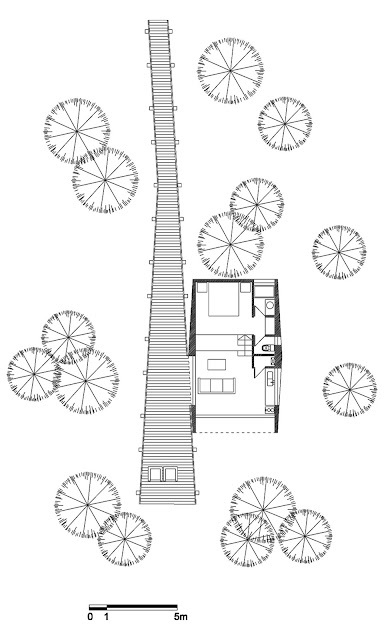 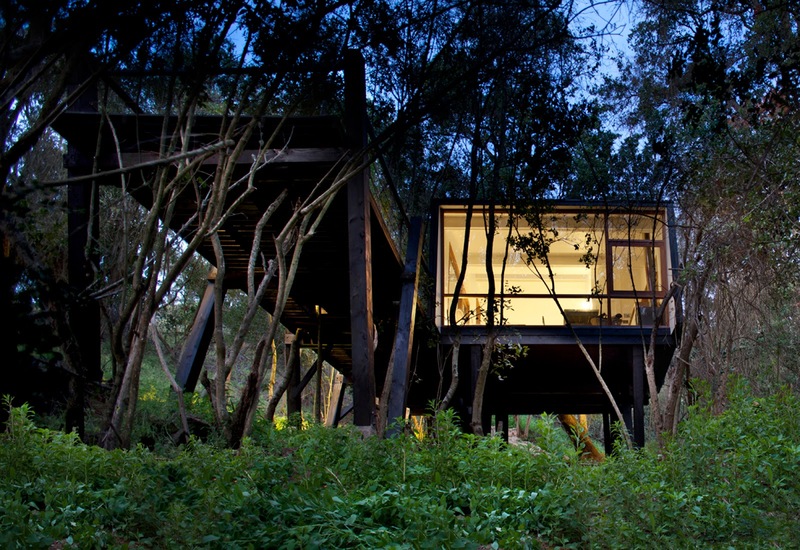 The home sits elevated on poles, accessible by a bridge, and measures 40m2 (about 430 sq ft). Its interior features a bedroom, a workspace, living room area, bathroom, and a kitchen.